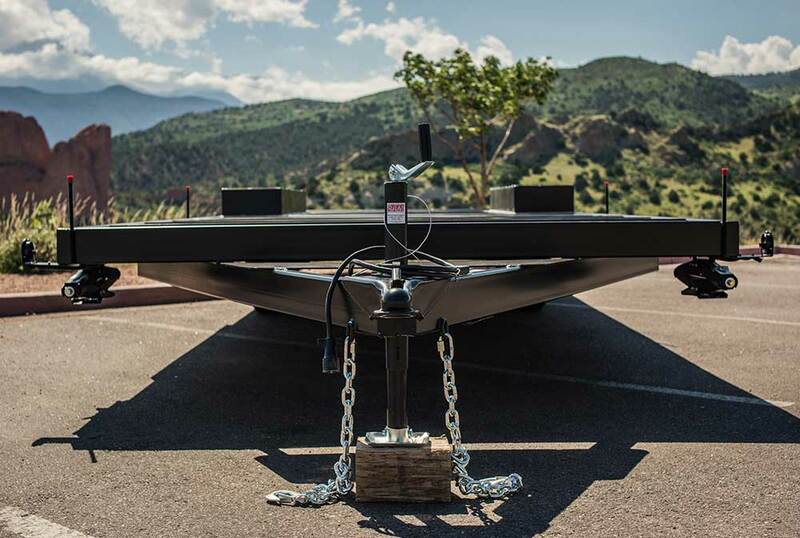 Tumbleweed Tiny House Trailers are designed specifically to carry your most prized possession —your Tiny House RV. The Low-Wider combines maximum head room with maximum width – ideal for a shed style roof. Key Feature Maximized height and width by building around the wheel wells. We make your tiny house trailers purchasing decision as simple as possible. 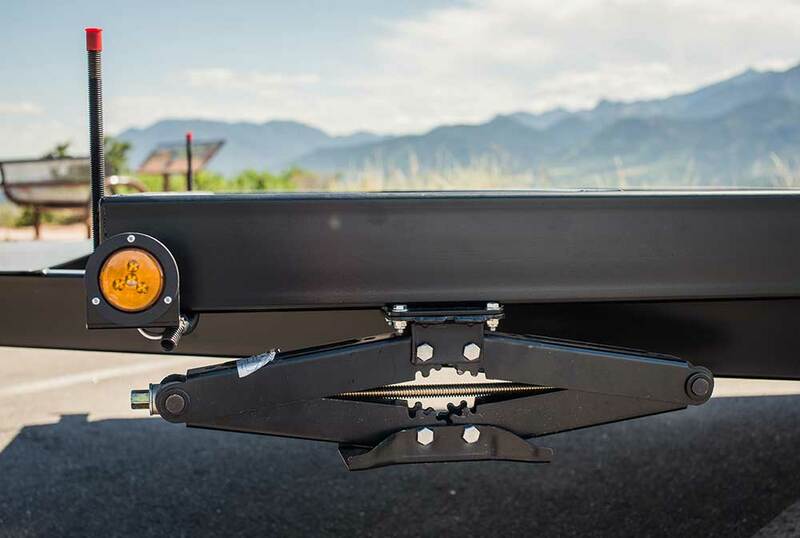 Customize your trailer with a three part process. 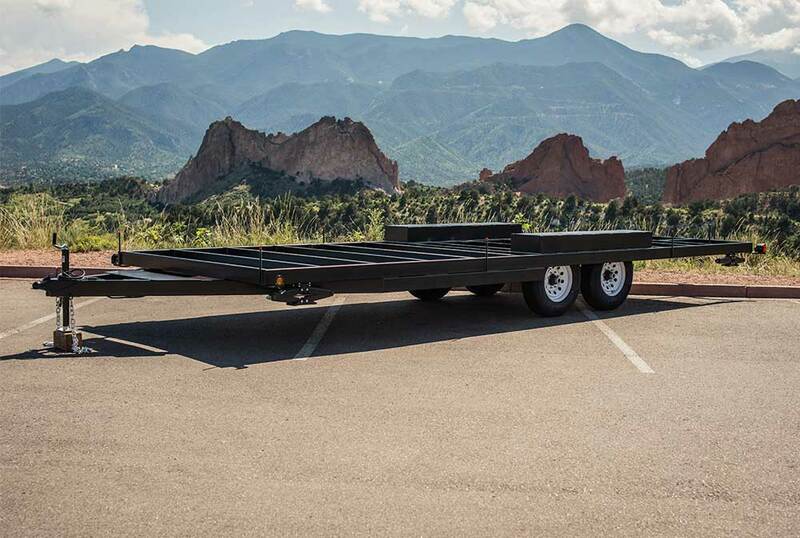 Choose between trailer length, porch type and if you want to pick up your trailer or have it delivered. Are you part of a nonprofit organization like a school? We have a special program just for you. 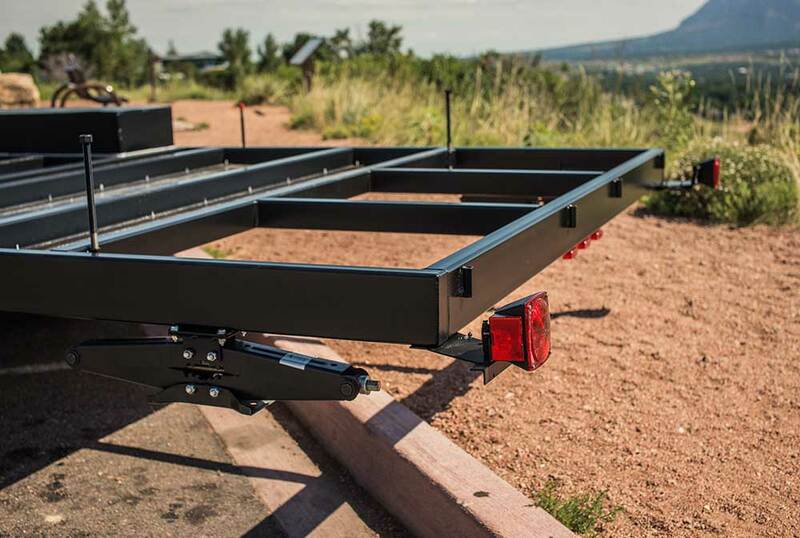 You can save on your trailer purchase as well as other perks. Find out more. Need to get your Tumbleweed Trailer financed? Rock Solid Funding, LLC may be able to help out. Find the trailer and delivery option which works for you and then apply. 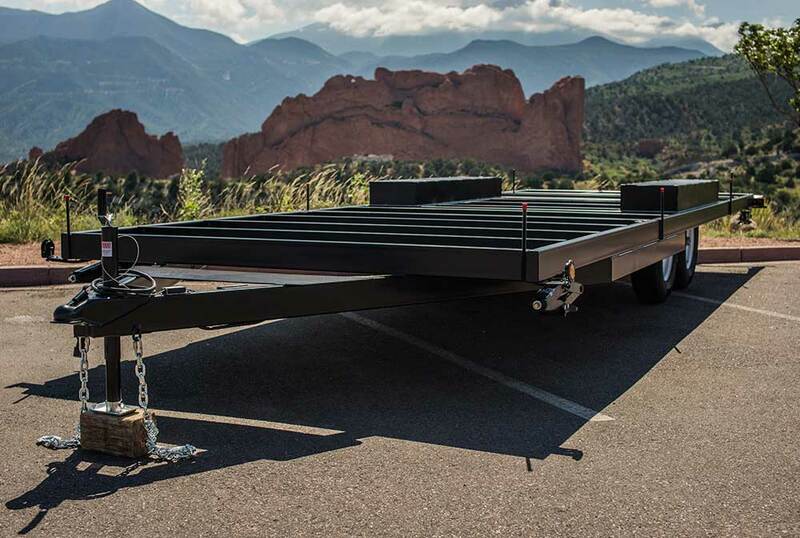 Tumbleweed ensures your quality-built trailer comes standard with brakes, lights, underside flashing and special tiny house trailers radial tires. These tires are a significant upgrade from tires normally found on trailers and extremely important for your safety. These radials differ from traditional bias-ply tires in their construction, minimizing tread wear and improving flexibility for better handling with heavier loads. The tires we use are designed specifically for trailers with heavier loads and carry a manufacturer’s warranty of four years. 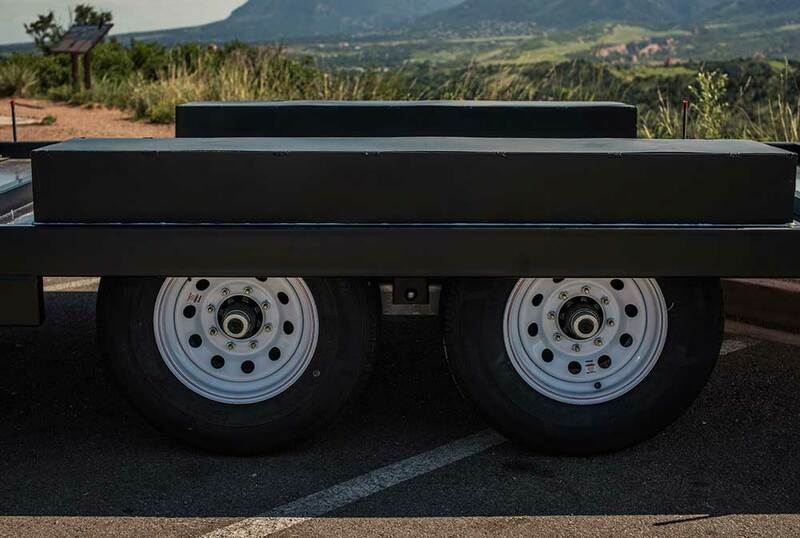 We use ST235/80R16 8 lug special trailer tires, 7,000 lbs per axle* that should provide you with 30,000 miles of service with proper care and maintenance. 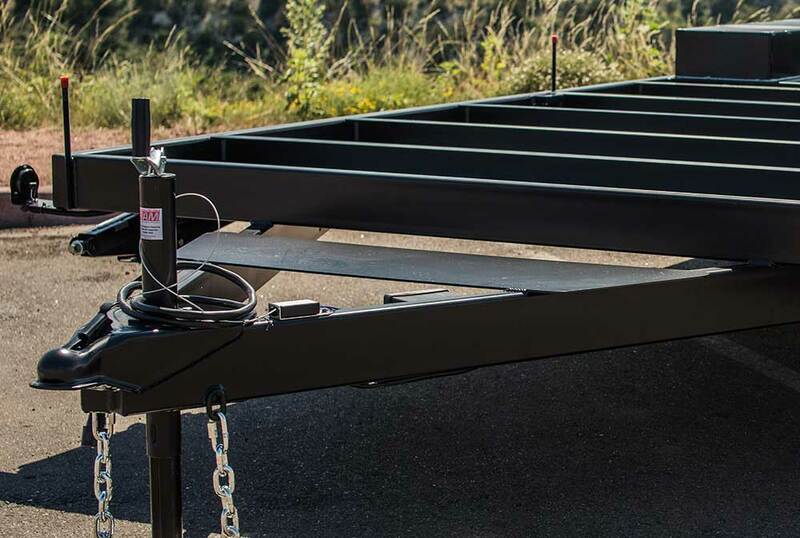 Our suspension package, with multiple 5,200 lb axles*, comfortably carries the weight of your tiny home. 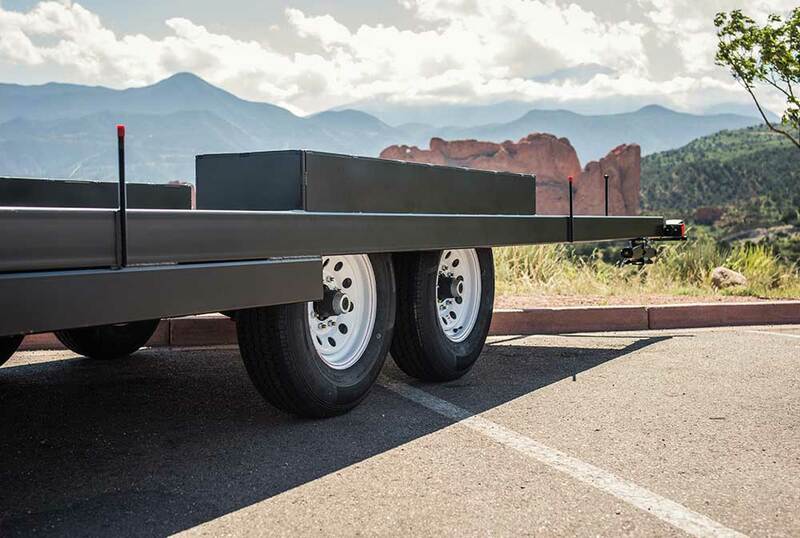 Standard 3,500 lb axles found on standard trailers may not meet your needs. Tumbleweed Tiny House Trailers are the perfect foundation for your Tiny House.